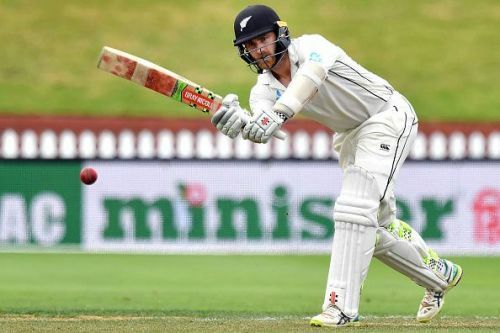 New Zealand captain Kane Williamson was taken to hospital after suffering a shoulder injury during the second Test of the ongoing series against Bangladesh. The 28-year-old will undergo scans on his left shoulder. Williamson suffered the injury on the third day of the rain-afflicted Test at Wellington, while diving to stop the ball at gully during Bangladesh's first innings. New Zealand Cricket, through a tweet, stated that Williamson will undergo MRI scans to assess the extent of the injury. In his absence, Tim Southee has been made the on-field captain. Injury update: Kane Williamson will not return to the field today as he rests his left shoulder ahead of further investigation (MRI scan) tomorrow morning. Tim Southee is the on-field captain. Despite the pain, Williamson walked out to bat after Bangladesh folded for 211, even scoring his 30th Test half-century during his gritty innings of 74. However, the discomfort was visible, and he had to receive medical attention twice during the course of his 105-ball stay. The first two days of the Test were completely washed out after incessant rain, but play resumed on the third day, with clear skies being forecast for the remainder of the match. Ross Taylor continued his good form with a breezy 200 that propelled the Kiwis to 432-6 in their first innings before declaration. Taylor was dropped twice on 20. Peter Bocock has been named the replacement fielder for Williamson.